Dolomiti Discovery comes from a great passion for the adventure. For us, it has been easy to join sport and four-wheeled adrenaline because this adventurous idea is born from a chat with friends and it is arrived spontaneously. We have thought about people that like being protagonist of emotions and they would live them strongly. We have imagined that we could have guided them by some hidden routes through quad excursions in Basilicata and in particular in the Southern Dolomites in order to live wild and uncontamined nature of small Lucanian Dolomites. 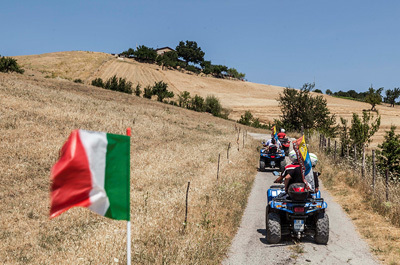 Overtaking the limits by path quad in Basilicata offers felling of freedom, accessibility to everyone, enjoy breath-taking landscapes, loss yourself in the nature travelling by dirt roads and unforgettable tortuous paths. This is our winning bet, an adventure designed for people who love sport, who would get be free, get rid of thoughts and live an excursion face to face with the nature and unexplored Southern Dolomites. 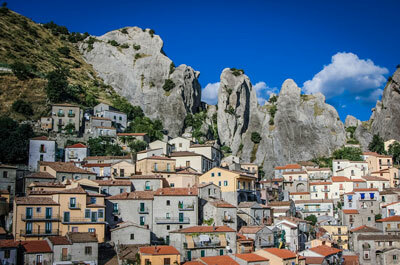 Dolomity Discovery is in the heartland of Basilicata where the small Lucanian Dolomites are famous for Flying Angel. It is an attraction that takes place between the two peaks of Pietrapertosa and Castelmezzano. The passion for our territory is connected to our desire to let know Castelmezzano and Lucanian Dolomites by an alternative holiday with sport and nature. What are you waiting for this four-wheeled adventure to discover Dolomites by quad?